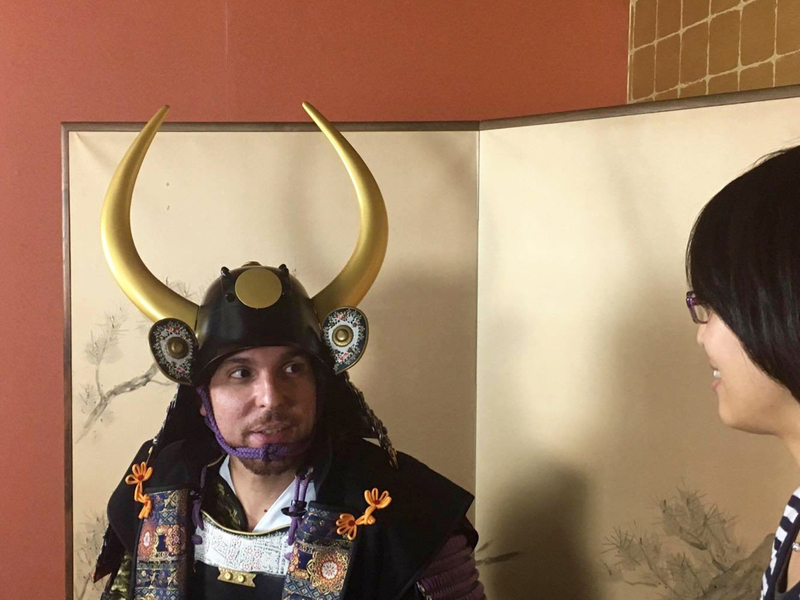 You can try kacchu (甲冑, armor) suits that are replicates of the ones used by famous samurai at the studio. 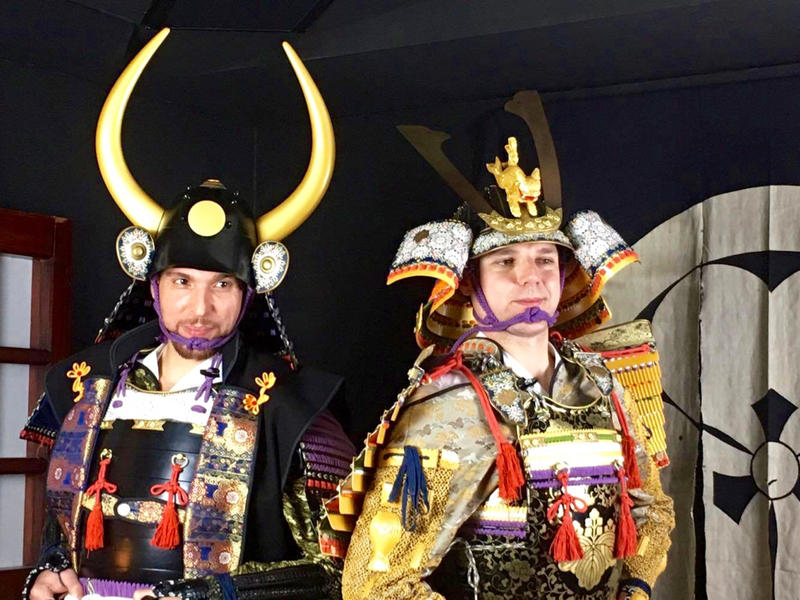 The suits are made by professional armor craftsmen, with exactly the same materials and techniques used several hundred years ago. 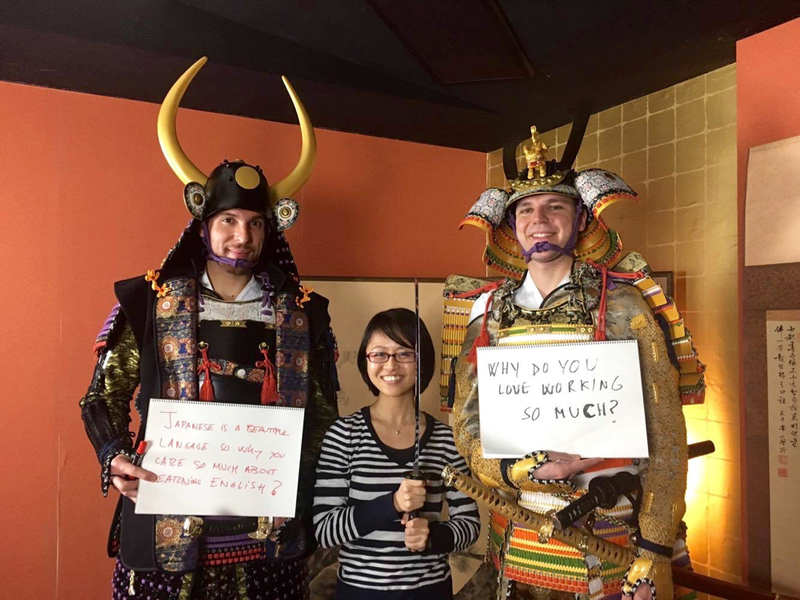 See samurai.bz/en/ for more details! Let’s see how they changed into warriors! WOW! Don’t you think they are super cool? I’ve been in Japan for 13 years. I came here because I wanted to know more about the country. I like its technology and culture, such as movies, anime, manga et cetera and am interested in mysterious places that are different from my country. I thought Japan is a mysterious country which is very far from Spain so I had never imagined that I’d be here. The armor is very, very heavy, but it is a super-interesting experience for me to wear these traditional protective coverings. I felt that it was like time travel to the past. 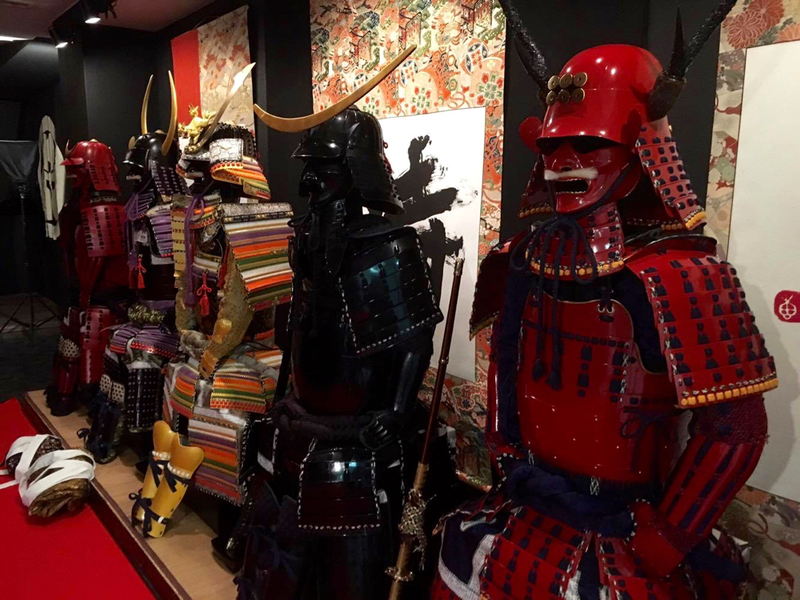 This armor was used by Toyotomi Hideyoshi, one of the great unifiers of Japan. 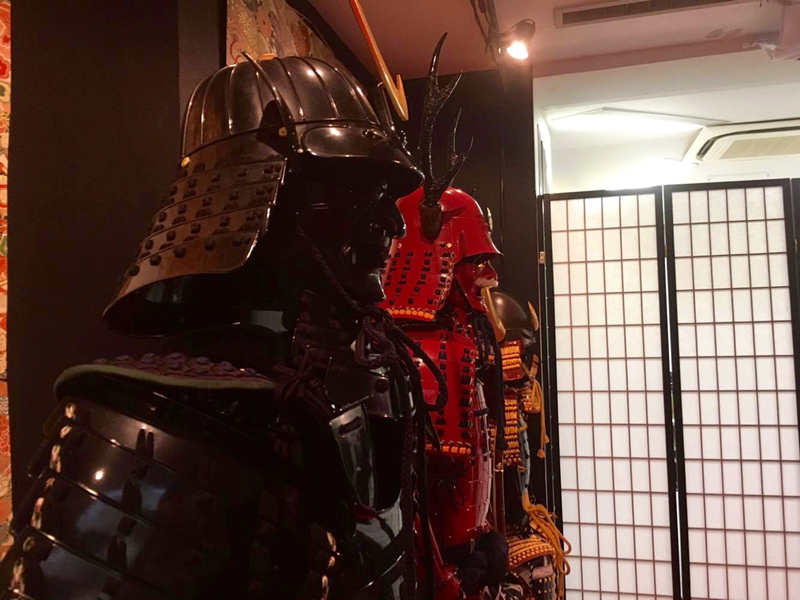 Also Mr. Shimpei Takemura, an instructor, knows about the history of armor and all the details of samurai culture. Thank you very much for teaching me a lot! 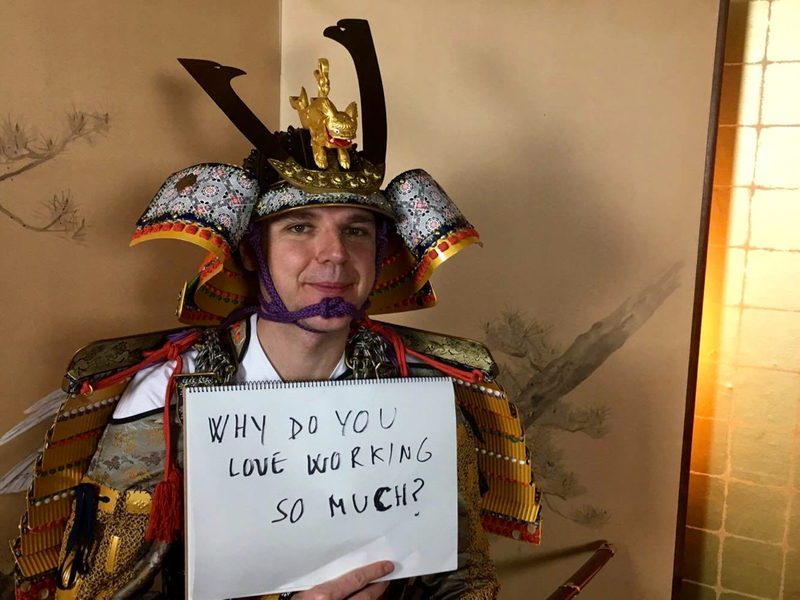 Question: Why do you love working so much? 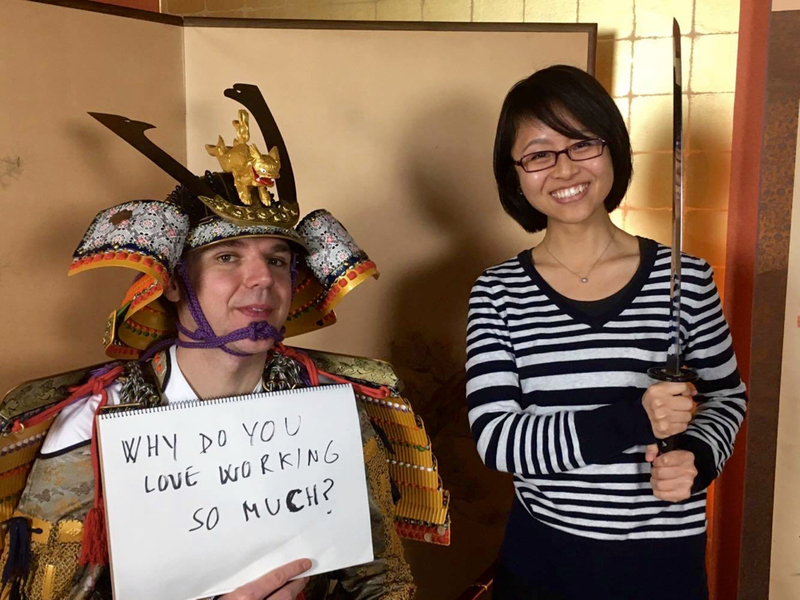 I’ve been in Japan for 6 years. 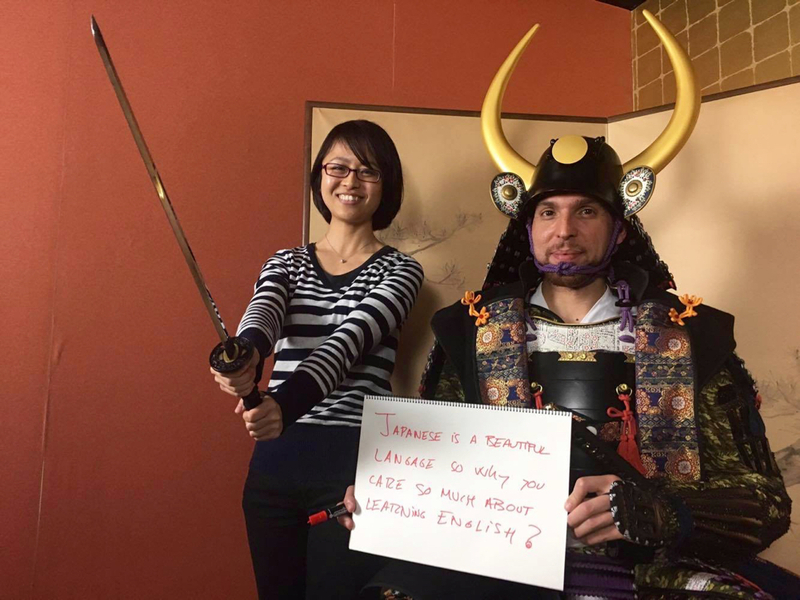 I have liked Japanese culture since I was a kid. I started karate when I was very little so I got interested in Japanese culture and martial arts. Then, I decided to come to Japan to learn martial arts. 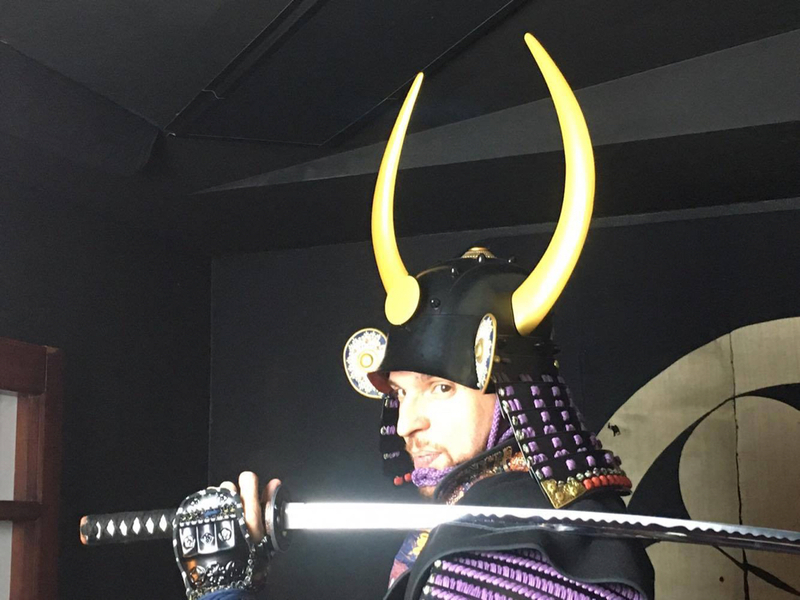 I still do karate here in Tokyo, and also do iaido (居合道: a Japanese martial art that emphasizes being aware and capable of quickly drawing the sword and responding to a sudden attack) and kenjutsu (剣術: the technique of the sword). 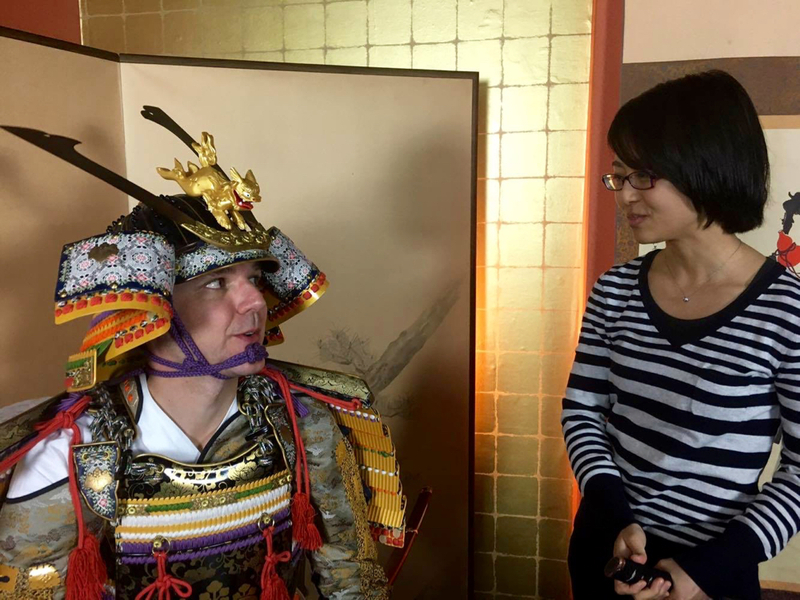 Finally I got a chance to wear samurai armor. It must have been difficult for samurais to wear such heavy coverings all the time, but I guess they got used to the weight. I think they were much stronger than us. 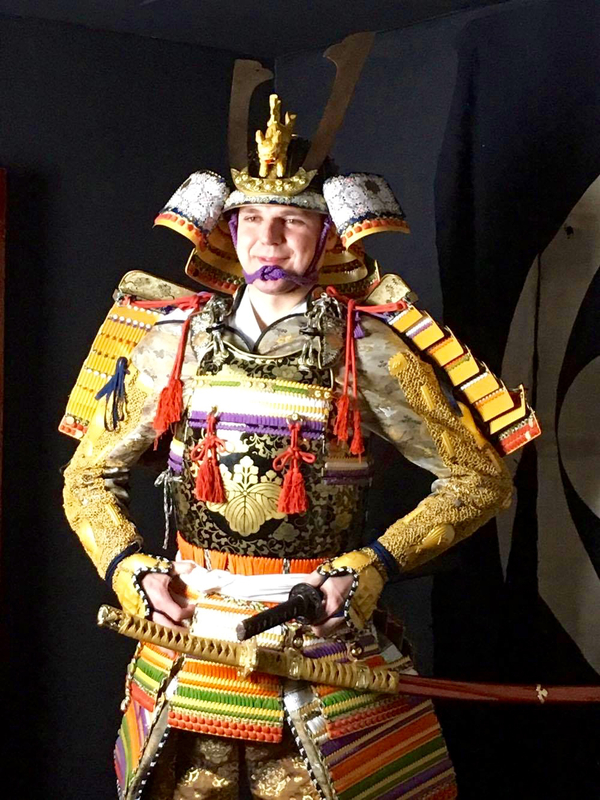 Also, Japanese armor is really beautiful. I want to see how people from overseas dress in them. 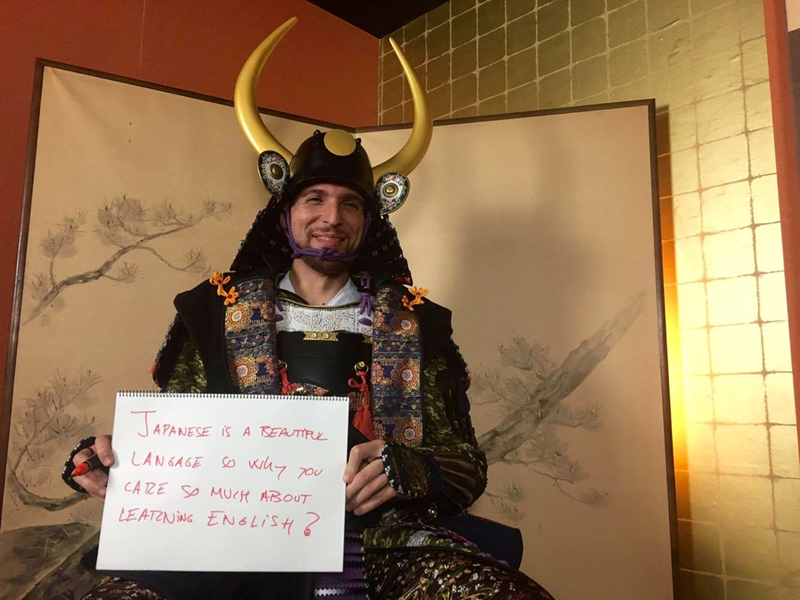 Question: Japanese is a beautiful language so why do you care so much about learning English? (Phone) 03-4330-7200 *Japanese guidance only.